As the battle for Kuwait and terrorist attacks intensify, Rob has to fight for his own survival. Saudi Arabia – a desert oil camp during the Gulf War and the genesis of the War on Terror. Fighter jets scream overhead, air raid sirens clash with the call of the muezzin, and duels between Scud and Patriot missiles light up the sky. Rob, a British safety officer, volunteers for the patrol guarding the camp perimeter. Night patrols and terrorist threats leave him disorientated and wondering what to do next with his life. His wife wants him to return home but a more exciting future tempts him when he meets June, a free-spirited American artist. As the battle for Kuwait and terrorist attacks intensify, Rob is forced to fight for his own survival. In the tradition of Graham Greene and John Le Carre, this political thriller explores the conflicting perspectives and loyalties of Westerners and Arabs under the pressures of war and threat of terrorism. 'The Middle East is a snake pit', says Rick, the camp's security boss. 'We can't be Boy Scouts in this war'. Arabian Night Patrol is now available on Amazon Kindle. Ian Thewlis taught at colleges and universities in the UK, Libya and Nigeria before joining the Middle East oil industry. 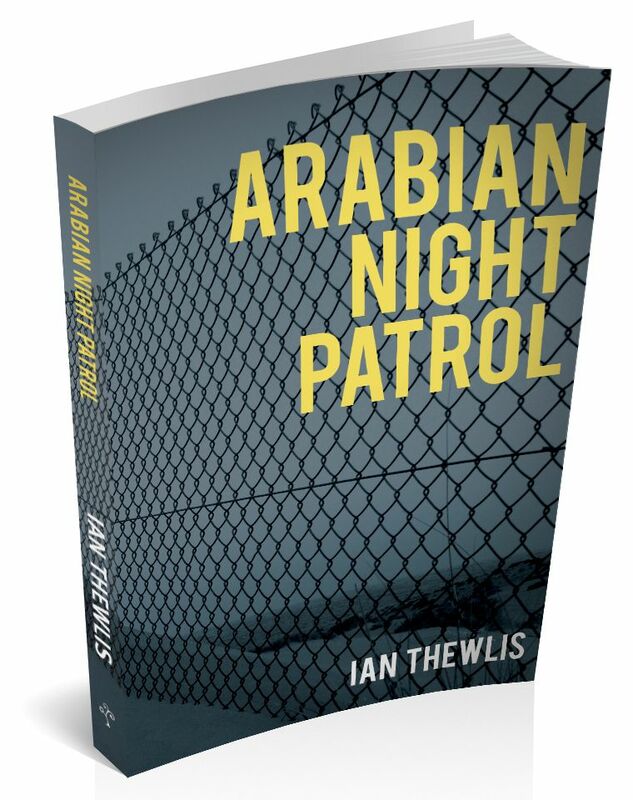 Arabian Night Patrol draws on his experience of Saudi Arabia and Kuwait during the first Gulf War, the genesis of Al Qaeda and the subsequent invasion of Iraq. After leaving the Arabian Gulf, Ian travelled the world as an oil industry training consultant. He returned periodically to the Gulf and also experienced the aftermath of the Soviet collapse in Russia, Kazakhstan, Azerbaijan and Georgia. Ian has written several business books but now devotes his time to writing fiction. Arabian Night Patrol is the first novel in a trilogy tracing the genesis and development of the War on Terror. Read the Advance Information sheet for Arabian Night Patrol here.